Yes, an offtopic... right for the second time. Ok it's related to my sales activity and hope it'll be useful to many of you: I guess a lot of Artist Friends are going to have a look at this post as well, so (as a mareting professional...) now I'd like to show you my new Facebook tab application I've just finished configure. As an artist besides creating pretty exciting works we must advertise our pieces and make louder and louder buzz every time to get some spotlight and let people "start spreading the news" about our works and our existence at all. I realized the imporance of it this year, when I really wanted to go beyond the borders and reach those people out there which aren't connected to me or to my friends anyway however are excellent potential customers of my art. We also do want to sell our works and of course earn money with it so must focus on marketing whethet we like it or not. So since the beginning of this year I'm continously making efforts to spread my links throughout the net to "leave my footprints" wherever I stop by and link my on-line places together in any imaginable way to direct as much people as I can to my sites. Converging your channels together is very important and since my first and most important base is my Facebook site I've been seeking intensively for the most elegant solution how to direct more traffic to my Etsy shop. I think the appreciation fan loyality is one of the best methods to engage your future customers so I decided to make a coupon code at Etsy for my kind Facebook fans to reward their status! It's not only an ignition for your on-line sales, but this is also a great opportunity for encouraging people to "like" your page for checking your promise and reveal that what's your offer for them! Good news that finally I've find the perfect solution for Facebook couponing. It's Woobox's application and VERY well customizable! It's quite new, I've find it on appbistro. So enoug talking... 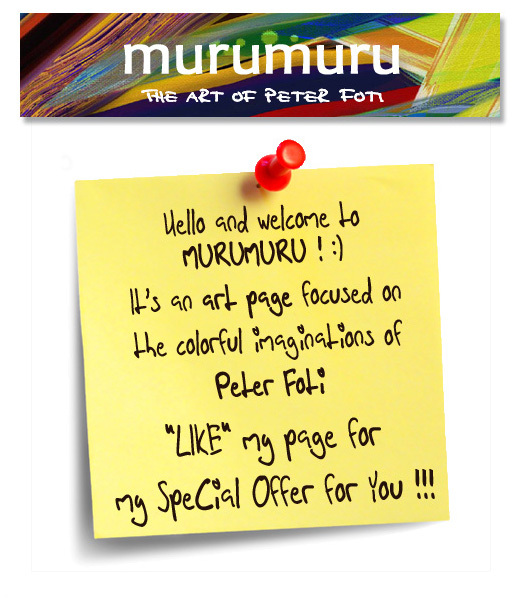 Here it is working on murumuru's Facebook page, it's now up and running from today! Tadaaam! Have an awesome day wherever you live on the Planet!